Everyone needs a getaway once in a while, and the best times can be with a group of your best gal pals. So charge your phone, ready your road trip playlist and head on over to Sarnia-Lambton for the perfect time away. 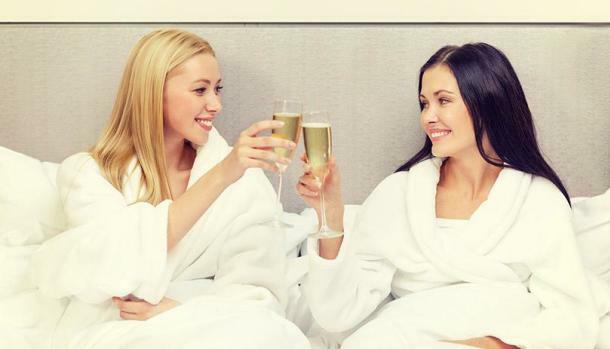 What better way to relax than a day spent at the spa - head over to the Oakwood Resort in Grand Bend for a lush pampering experience. From mani pedi’s to game-changing facials, there will be a service that is sure to send you down the path towards utter relaxation. Who said you need to be a couple to get a couples massage? If you’re dedicating your weekend to living life at the spa, you can book a tranquil room at the Oakwood Resort. But if you’re looking for something more in-town, book your stay at the Pine Dale Motor Inn in the heart of Grand Bend. Backing onto the Old Ausable River, the Pine Dale promises classic, modern accommodations with “a little bit extra” for a kick of flavor. For some outdoorsy fun, take a glamping (glamorous camping) trip to Pinery Provincial Park and get settled in one of their exciting roofed accommodations – like a cute little yurt! It’s the perfect way to experience the outdoors without everything that comes along with “roughing it”. Did I mention these accommodations are fully furnished and have electricity? Bliss! With so many choices it’s so hard to choose! If you’re feeling cosmopolitan, visit Midori Sushi Bar for a trendy and delicious culinary delight. Not only does it taste great, it looks great and makes a perfect photo opp. For amazing home-style, check out Schoolhouse Restaurant. If you’re looking for something more upscale, F.I.N.E A Restaurant is the place for you. With an exquisite and perfected menu, you’re sure to have a night of culinary exploration and delight. For Breakfast, Lunch and Dinner, Kitchen Eggspress is your next stop on the girls getaway tasting adventure. With Egg in their name you know they can do it right. Try their Bennywich for a great take on a culinary classic. Why settle for one tasting when you can have four? Twin Pines Orchards and Cider House may not be your traditional spot, but their samples are an example of a perfectly crisp cider. Bring some home to share with your friends that missed out on the trip! While you’re at it, head to the outskirts of Grand Bend and visit the grand Dark Horse Estate Winery. 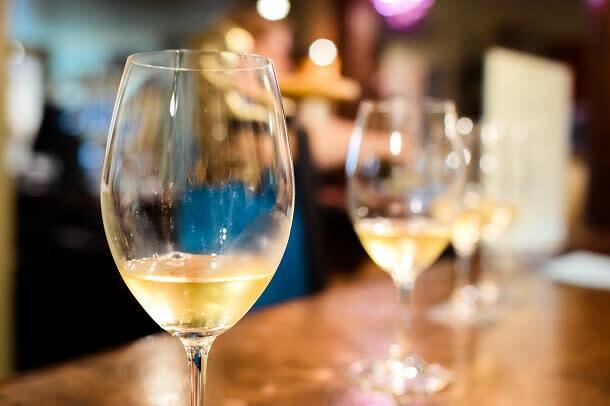 Closely resembling the iconic vineyards of the Niagara region, take the chance to expand your Ontario wine collection and impress everyone at your next party. Alton Farms Estate Winery is your next stop on your taste bud travels. This quaint and romantic location is the perfect spot for the girls to get together for a relaxing glass of wine. With a passion for their craft, Anne and Marc Alton know how to wow their guests. To take a break from all the wine, check out the cool landmark - Refined Fool Brewing Co. With a colourful mural painted on their outside walls, you won&apos;t be able to miss this dynamic location. Taste their unique take on craft beer, especially their creative seasonal batches. 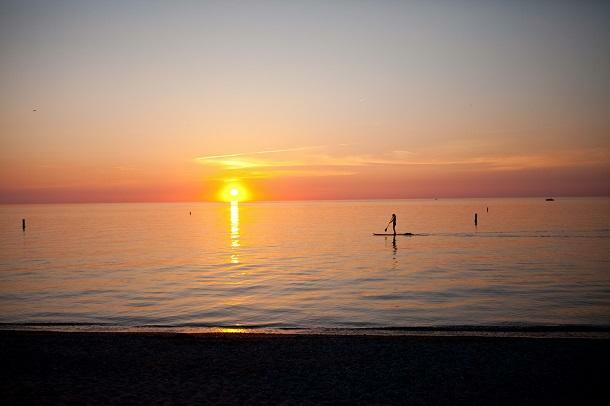 If you head out during the summer months, make sure to visit one of the amazing beaches available in Sarnia-Lambton. To stay near beach cocktails, visit the Grand Bend main beach. 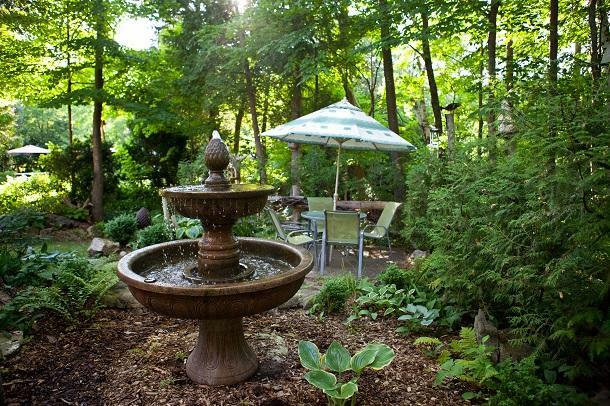 If you’re looking for something more relaxed, check out Brights Grove or Ipperwash! Wherever you end up, this region has some of the greatest beaches around. Rain or shine, Sarnia-Lambton houses many opportunities for the greatest girls getaway. Be sure to use #ontsouthwest when posting on Instagram to share your amazing adventures!